On Saturday September 14th 2013, 200 trekkers, on behalf of Mike & Jules Peters’ charity, Love Hope Strength Foundation, set off on the seventh annual climb of Snowdon. When Mike was diagnosed with leukaemia in 2005, it was whilst receiving chemotherapy in Bangor Hospital that Mike looked out of the window and glimpsing Snowdon, said “When I recover, I’m going to climb Snowdon and take as many people as possible with me to raise money and give something back to the North Wales hospitals as a thank you for the wonderful care that they give to me”. Mike continues to receive chemotherapy and this year received his chemotherapy treatment in between climbing Ben Nevis and Snowdon. Eight years later, Mike was true to his word and now, Love Hope Strength is firmly established as the world’s leading rock and roll cancer foundation, taking treks to Base Camp Everest, the top of The Empire State Building, the Inca ruins of Machu Picchu, the glaciers of Kilimanjaro, the sunrise of Mount Fuji, the Valleys of Rhondda and reached out through the universal language of music. Mike & Jules’s charity has also teamed up with DKMS, the world’s largest marrow registry, to conduct bone marrow drives at concerts, music festivals and events all over the world. So far, Love Hope Strength has signed up over 45,000 people and created over 650 potentially life saving matches through the innovative ‘Get on the List’ campaign. Snowdon is always a special day in the LHS calendar for Mike, Jules and their 2 boys, Dylan (aged 9) and Evan (aged 6). This year, the Peters Family returned from a 3 month Tour of America in time for Snowdon Rocks. Both boys have joined their parents climbing Snowdon for the last 3 years and this year was particularly special as Dylan and Evan joined their dad for the special concert at the foot of Snowdon, playing drums and guitar! The day began at the Penceunant Tea Rooms, located near the foot of the mountain at the start of the Llanberis Railway Path, with cups of tea, signing in and the picking up of laminates before setting off for the summit at 10:00 am. As a show of Love Hope Strength solidarity, all the LHS trekkers wore an article of green clothing which is the visible colour of hope and well being. (When Mike was originally diagnosed with cancer, he consulted a Faith Healer who told him that his healing colour was green). 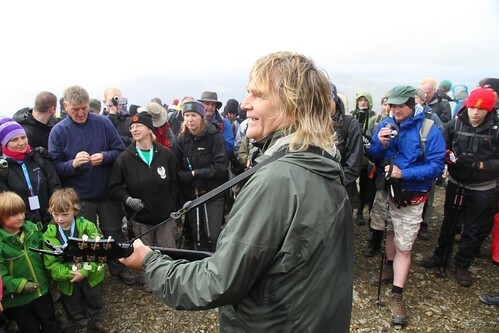 The hike to the summit (3,560 feet), took approximately 3 hours, at a leisurely pace, which included a musical stop at the Halfway House Cafe, an emotional one minute’s silence and a unique Summit Concert from Mike Peters & Friends. As in previous years, funds generated by Snowdon Rocks 7 will go towards supporting cancer care in the North Wales community and towards the Love Hope Strength ‘Get On The List’ bone marrow donor campaign. This year over £10,000 was raised in one day. This follows up upon a recent £45,000 donation to Bangor Hospital for 2 Leukapheresis machines which will help to save many lives in North Wales. 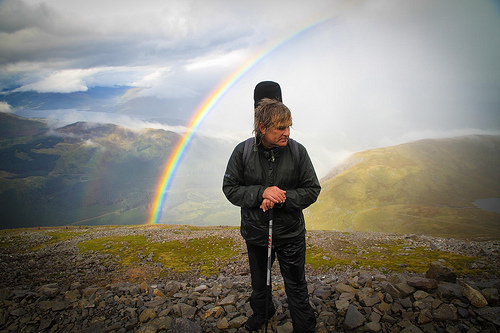 Mike Peters continues to receive treatment for leukaemia under the watchful eye of Dr Edwards. 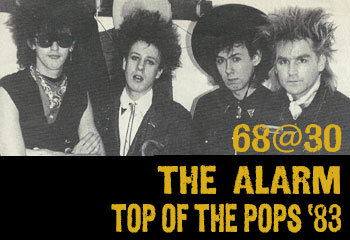 68@30 – Young Guns Go For It!